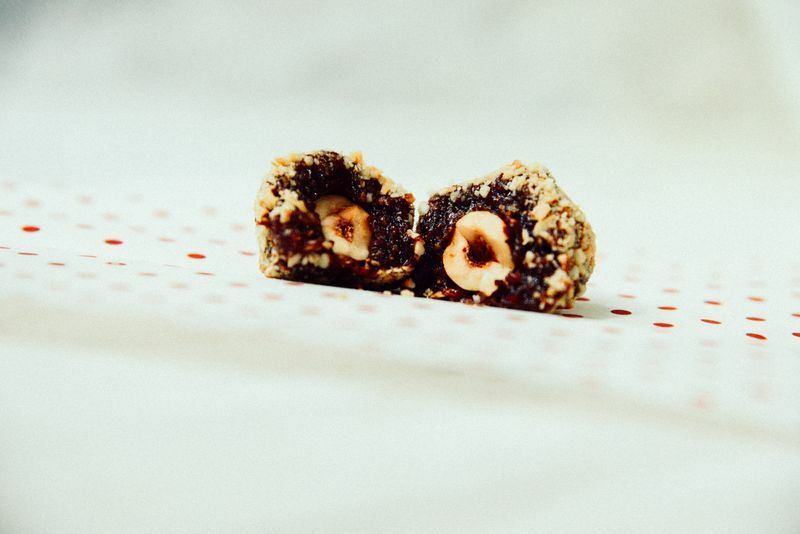 Something for V-Day with the classic blend of chocolate and toasted hazelnuts but rolled in a truffle. And while a certain ubiquitous brand has the market cornered, I find that besides being a little too sweet for my taste, it also has way too many questionable ingredients. 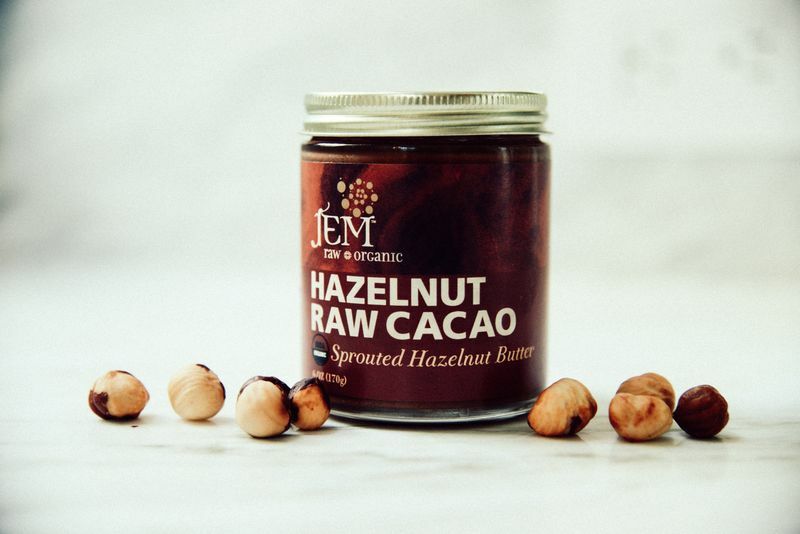 When I recently tasted this brand of nut butters I was hooked on it. They also have a cardamom coconut almond butter that is perfection. But in this jar there are only four ingredients: hazelnuts, sugar, cacao nibs and vanilla. Plus the nuts are sprouted which helps increase their digestibility. Win win. 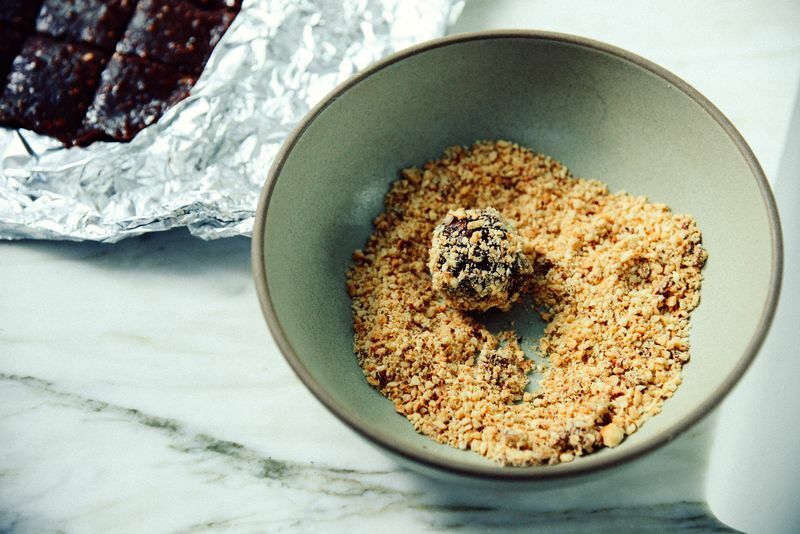 Truffles are easy enough to make, I wonder why we don’t make more of them. Line a rectangular cake pan with foil. Pulse cornflakes in a food processor until finely ground and pour into a small bowl. 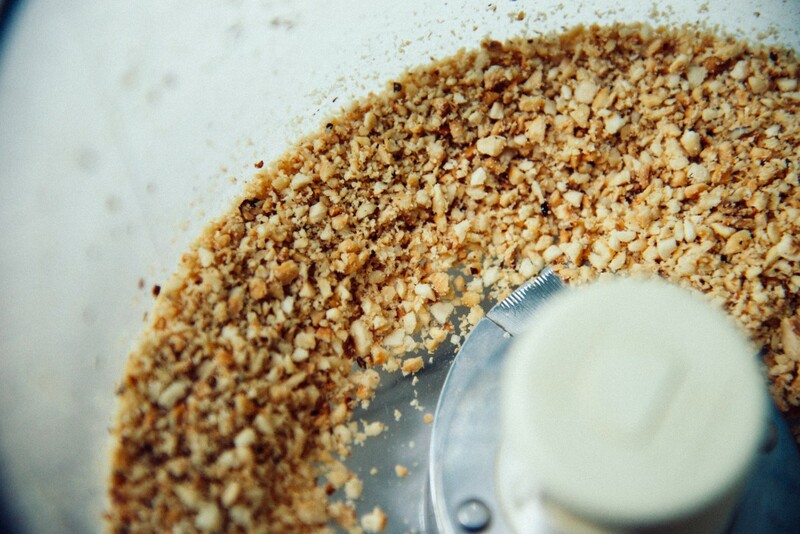 Process ½ cup of the hazelnuts to fine crumbs. Pour into another small bowl. 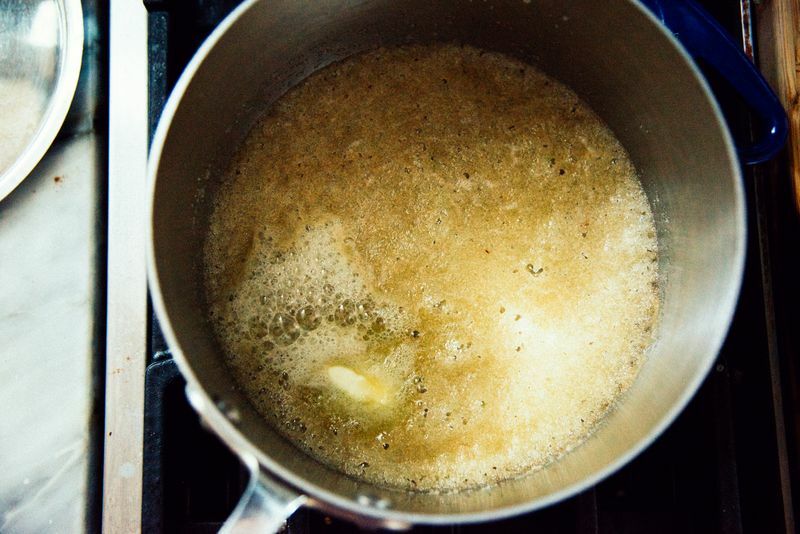 Melt the butter in a small saucepan over medium heat then stir in the sugar until combined. Turn off the heat. 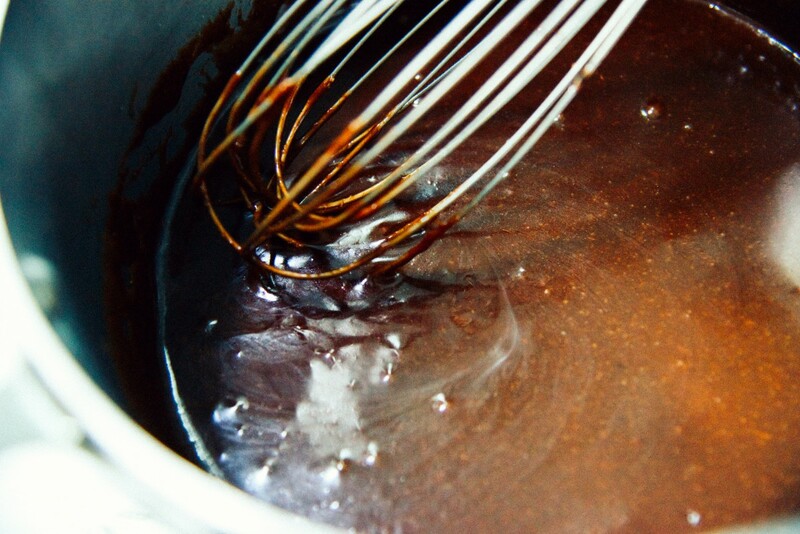 Whisk in the milk and cocoa powder until smooth. 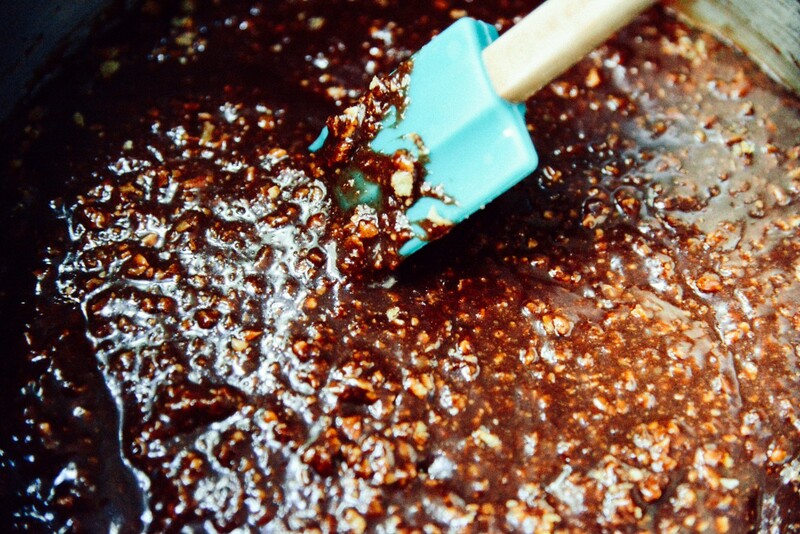 Add chocolate hazelnut spread and whisk until fully incorporated. Add the cornflakes. Stir. Transfer the mixture to the foil-lined pan and press firmly into an even layer with a silicone spatula. Freeze uncovered until firm, about 15 minutes. 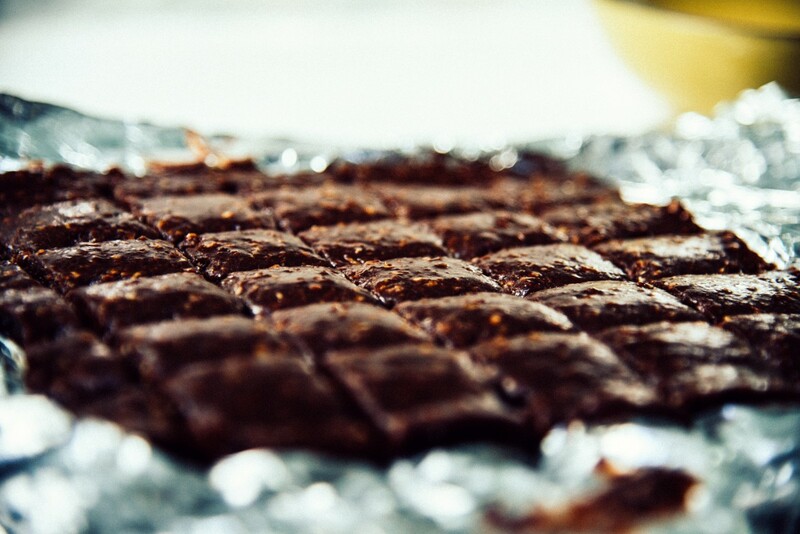 Once out of the freezer, lift the foil out of the pan and transfer to a cutting board. 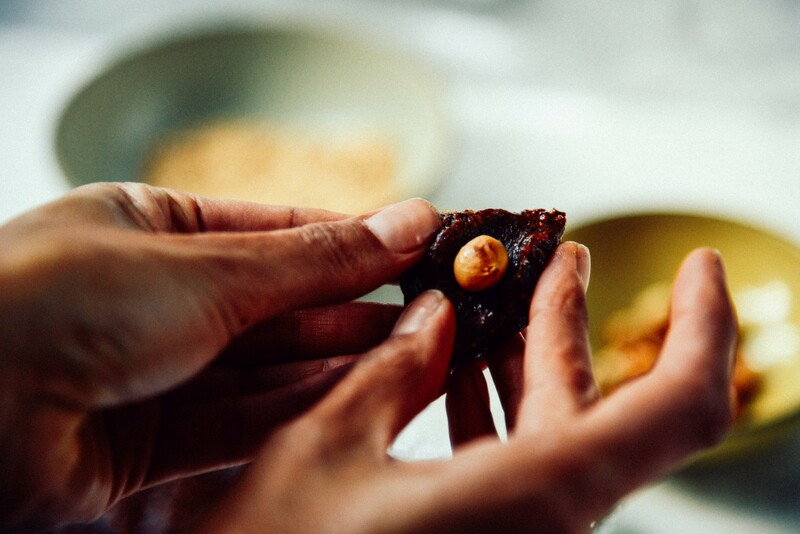 Cut the mixture into 24 pieces, then mold each piece around a single hazelnut to encase completely. 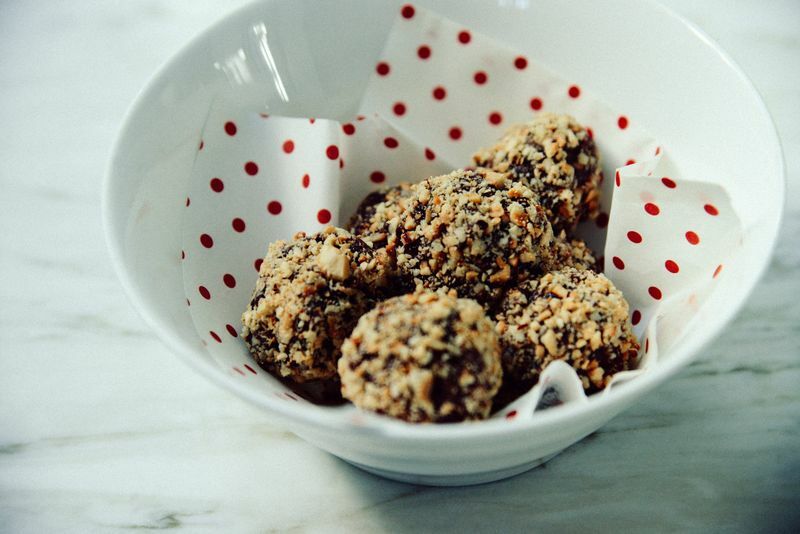 Roll truffles in processed hazelnuts to coat then transfer to a plate. Freeze, uncovered, until firm, about 10 minutes. Serve them right away or store in the refrigerator in an air-tight container for up to a week.